I'm very excited that MENU have just opened another space, and this time in New York. Whilst I don't live in New York, it's my favourite city and I definitely plan on visiting again very soon, and now this will be on the top of my list. After recently opening a showroom space in trendy Shoreditch in East London, it's makes so much sense for it's new US branch to open in the cool and fashionable neighbourhood of SoHo in lower Manhattan. Firstly, what I love about this space is that it is actually lived in. Just like the London showroom, the SoHo version also doubles up as the home for the area's sales manager. 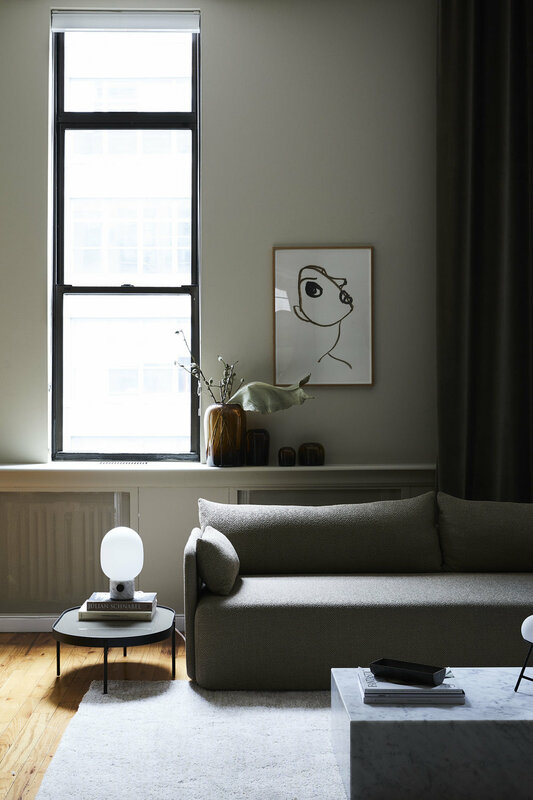 It's pretty much the dream apartment in the big apple, and the fact that it's not just used for meetings and for product launches adds even more warmth to the loft that already boasts the perfect balance between art gallery and a little cosy Scandinavian hide out away from the bustling streets of lower Manhattan. The 1 bedroom loft is cleverly segmented with rugs and thick velvet curtains, giving the illusion of more rooms and in turn space. Furnished of course with MENU furniture and accessories, its colour combination is expertly put together (no less than can be expected from MENU). 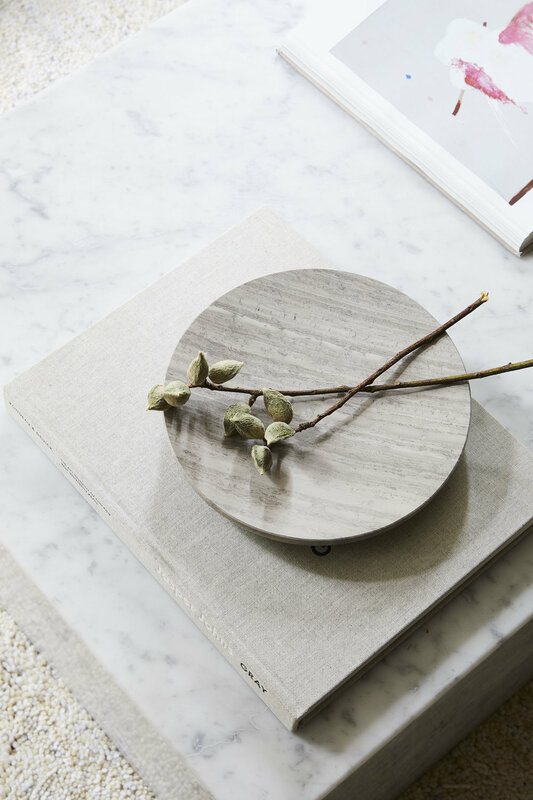 From light to dark accents, raw and natural materials are excellently balanced with more modern elements. 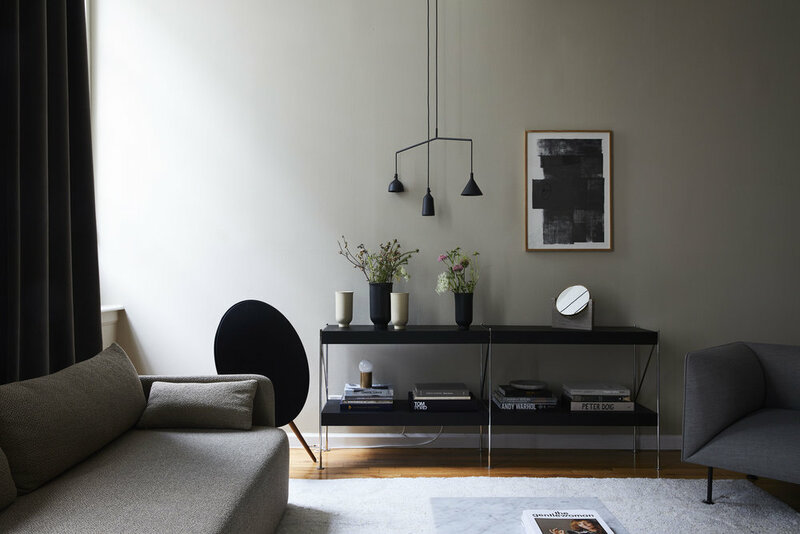 It's my dream colour palette; neutral yet vibrant and minimal yet inviting. We currently have Farrow & Ball blackened walls in the living and dining space, but I yearn to have a different shade now. This one is light enough to keep the space bright and give the illusion of space, but the it's warmer and more earthy. It's so perfect with MENU's new range. The living room is peppered with magazines and books, creating an lived in and cosy breakaway space. 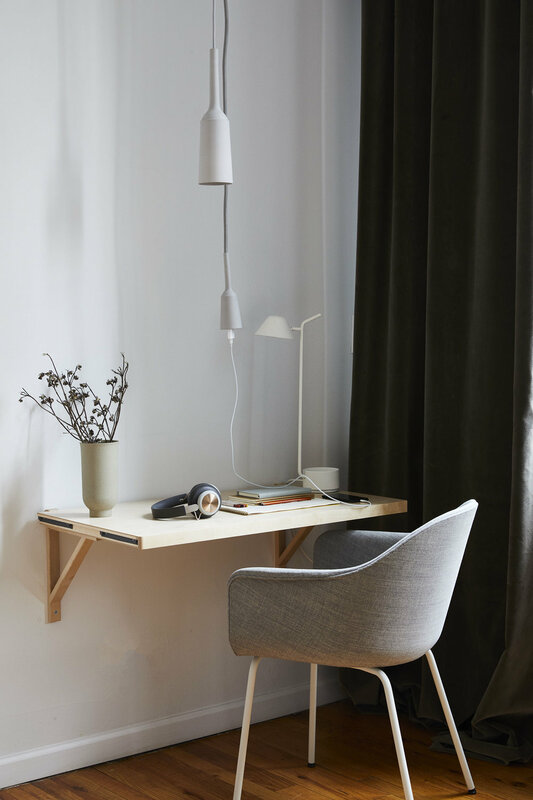 I've got my eye on the Gogot Grey Melange chair for the house - the vertical and rectangular shape makes it incredibly flexible. 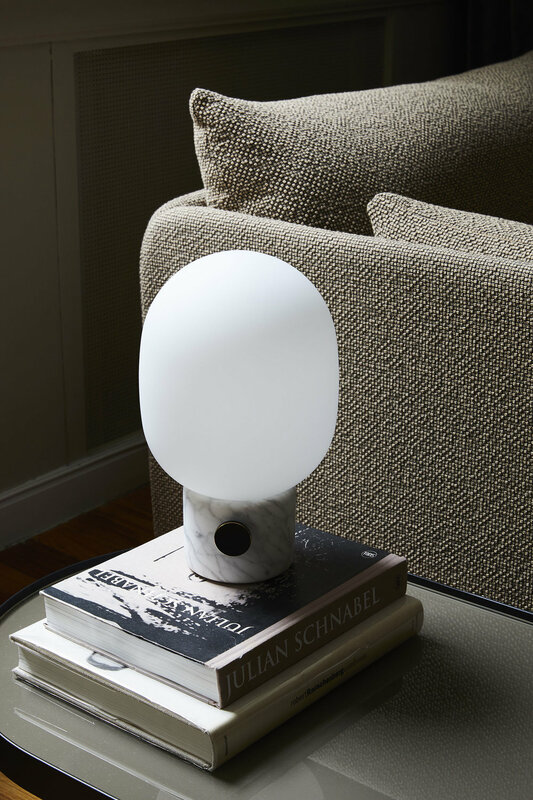 It can be placed next to walls or positions in the middle of rooms, without looking at odds. all images courtesy of MENU and taken by Nicole Franzen. words and thoughts my own.